Yesterday I had my therapist appointment. It was good to see her and catch up. We talked about a few things and then I got to work on the topic of Rage and how it is impacting my life in ways I don’t like. I’ve come to realize that I don’t experience many emotions other than anxiety and anger or rage. I’ve lived this way for probably 40 years or so. It is such a overwhelming loss to think I have missed out on what it feels like to genuinely love someone (body, mind and soul). Or to know what it means to cry “Tears of Joy” over something. To feel a surprise and instead of being so on guard that when a surprise were to happen, I would be angry versus happy. Now, I’m going to work on some things my therapist has given me to put to task. 1. When I start to feel something inside of me that doesn’t sit right to remove myself from the situation. 2. To either go for a brisk walk, or the gym to work out the energy I am feeling as a result of the rage or anger. 3. To write out what that moment was about, so I can hypothesize and look back and reflect what the trigger is/was. It is a big task for me. I know I definitely don’t like the feeling of going from calm to instant rage. Its not a nice feeling. As I said to J, I don’t know the last time I truly cried for me. I also told her that I do feel anxiety and she said that doesn’t surprise her because both emotions mimic one another. So now I am working on bettering my health through diet and exercise. There are some guidelines that I am going to put down because one in particular is vital to how I deal with my rage. I picked this up from http://www.NaturalNews.com. To be clear, there are many reasons why people put on extra body weight, including under-active thyroid, sugar addictions, trace minerals depletion, vitamin D deficiencies and more. #2) Have you stopped drinking liquid sugars yet? If you’re still drinking corn syrup (sodas), forget about weight loss. You first need to quit the soda habit. #3) Are you consuming enough fresh fruit and vegetables? Are you juicing yet? You’ll need to do both of these things on a regular basis. #4) Are you exercising yet? You’ll need a minimum of 30 minutes of exercise every day to start dropping pounds. This can be brisk walking, swimming or cycling. Weight training is also very valuable if you do it safely. #5) Have you addressed the emotional reasons why you overeat? Inside every person who isn’t happy with their body weight is someone who still has some emotional stuff to work out. Get some support from friends, family or professionals. Find out WHY you tend to overeat. Explore your habits and behavioral patterns. Are there certain things that trigger over-eating? #6) Do you have enough trace minerals in your system? Many people who crave “salty snacks” are actually extremely deficient in minerals. They crave salt (minerals), but they misinterpret the craving as a desire to eat empty calories. Your body needs a certain level of minerals to function, and when it lacks those minerals, it will generate internal cravings to motivate you to try to find them. People who make an effort to supplement trace minerals (and quality full-spectrum salts) often find their cravings for salty snacks literally vanish. #7) Have a reason WHY you wish to achieve the best weight for yourself. You need an emotional “anchor” to give you the behavioral leverage to get there. Are you losing weight to feel better about yourself? To improve your longevity? To be more physically attractive? To compete with a sibling or friend? To go to a class reunion or wedding? Figure out your top reason for wanting to achieve your weight goals and use that reason as leverage to guide you in that direction. 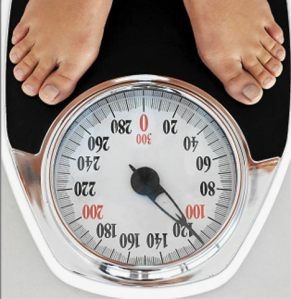 #8) Have you committed the TIME to realistically accomplish your weight loss goals? You’ll need to set aside the time for exercise as well as time for fresh food preparation. Figure a minimum if one hour per day, and it can easily be two hours total. #9) Do you have the support of your family and friends? It’s very important to discuss your goals with your immediate family and get their support. If you’re trying to lose weight, they need to refrain from baking cookies and filling the house with that aroma, for example. They need to verbally support your efforts and not tease you or discourage you. Have a serious talk before you begin. #10) Prepare yourself to be hungry and know that it’s okay. If you eat every time you feel hungry, you will never achieve your weight loss goals. Dropping excess body fat will absolutely require experiencing feelings of hunger. Know that hunger does not mean you are dying. You’re gonna be fine. Don’t let your body trick you into thinking you desperately need to intake more calories. Become familiar with a bit of hunger and learn to live with it during your weight loss journey. It’s okay to feel hungry! Cowboy up and move on. I have been doing Zumba 2 x a week, as well as walking a half mile with my dogs, usually 4 days a week. As I am also dealing with severe plantar fasciitis, I have to promise myself to rest the following day and ice my foot a lot. I have already seen an orthotist to get an assessment for orthotics and now my request is with the Ministry of Social Services and Development as they have to approve it in order for me to have coverage. Lifestyle changes (also known to some is dietary), I have, on the request of my naturopath, removed refined sugars, wheat and dairy. I admit, I was reluctant at first, because that is my stubborn side, wanting to do things my way. Given that “my way” hasn’t been working, on top of the estrogen dominance, I am also at my heaviest weight, which is also triggering HUGE Eating Disorder Behavior, I have been in a vicious cycle. I want that to stop as well. It comes from feeling overwhelmed and when I become very angry at some point, I will turn to food. I never, ever used to be this way. So far I am down 2.5 pounds this week and I am proud of the changes everyday I am doing. Its going to be hard, and its going to push me, but I WANT to be back at the size I have always been comfortable in. Now, I only have 47.5 pounds to go!